Grab yourself a copy of Part 1 here! Grab yourself a copy of Part 2 here! After a staggering 7 months since my last PDF was offered up at my Lulu store, I’ve finally put up two new entries for sale! 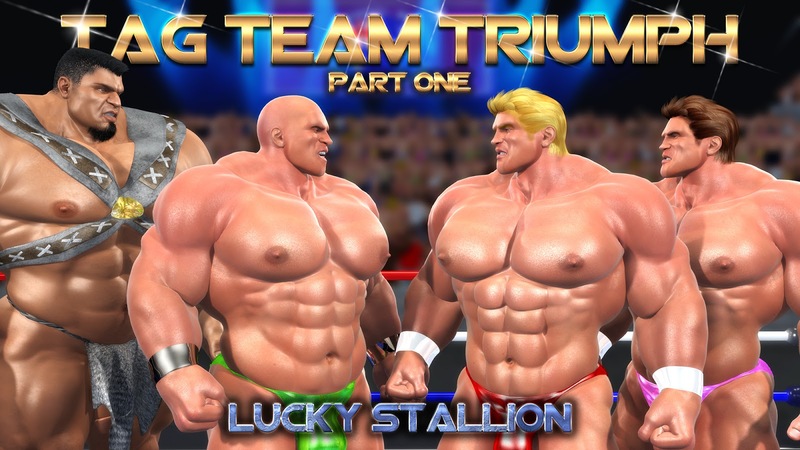 I’ve chosen Tag Team Triumph and its sequel for conversion. These two (particularly Part 2) have been enhanced to fix small problems here and there and were given bonus panels (four images in Part 1 and five images in Part 2) with all-new content at the end. Get yourself a copy of Part 1 here, Part 2 here, or check out my entire lineup at the link here. Thanks so much for your support! Keep on wrestling!